Skull & Shackles convened this week for what turned out to be the taking of Man’s Promise. 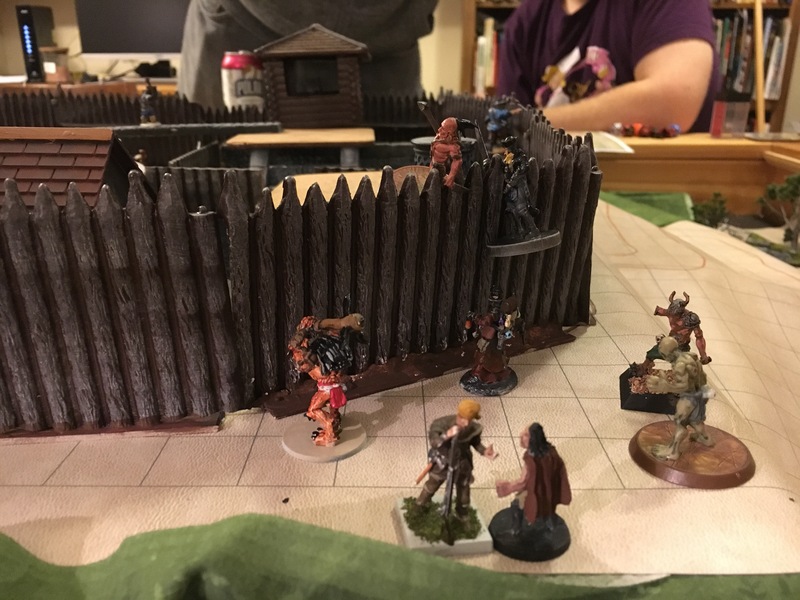 We did a bang-up job of securing the sterncastle, as well as repelling a band of grindylows. Dealing with the goons Plugg sent down into the bilges proved more troublesome, but ultimately soluble. 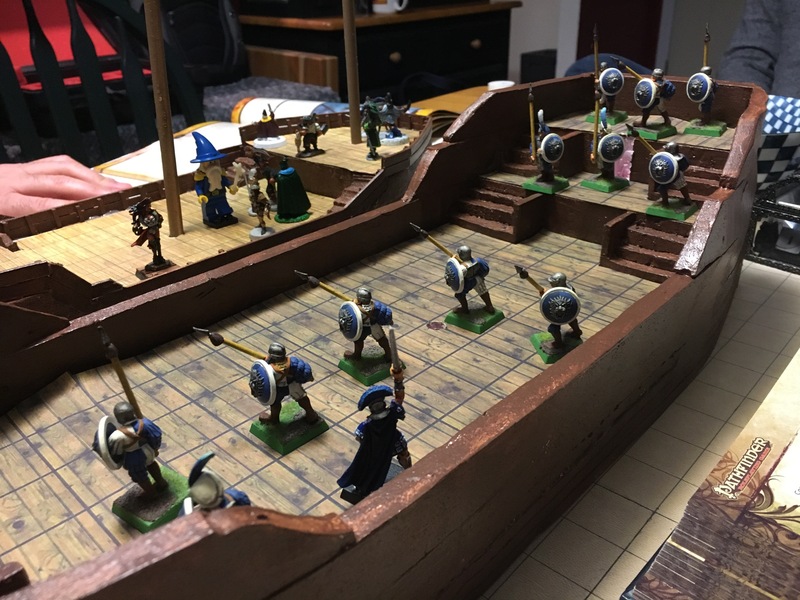 Our GM Mike did a bang-up job with the miniatures, right? He built both the Wormwood and Man’s Promise and painted most of the figures you see — excepting Usidore the Blue, of course. Can you pick out Usidore the Blue in this picture? He’s a water wizard, ‘Arry. After a very, very long run-up, I got to join in a nascent campaign of Skull & Shackles, which readers may recall I have sampled before. Hopefully this time, bot fly fever will be less of a crushing burden. 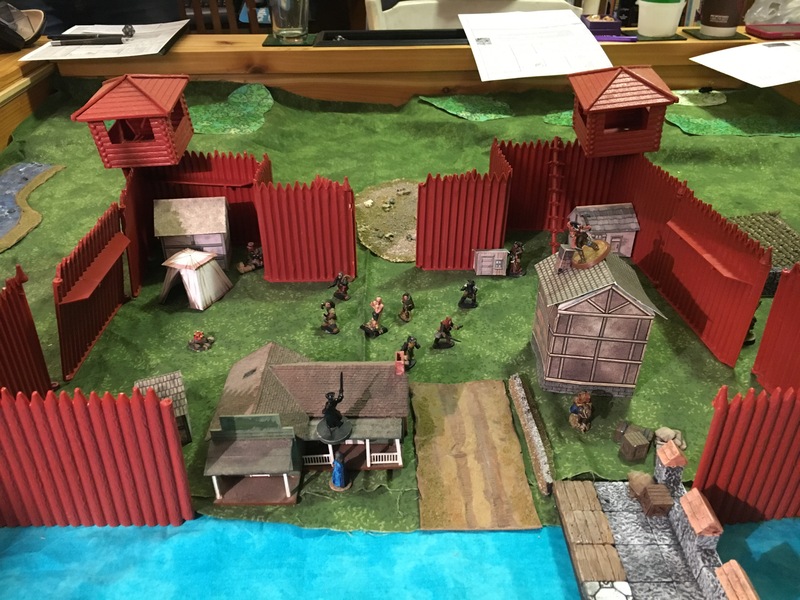 Defending Egil the Icelander from the search party of Erik Bloodaxe, as rendered in Heroscape tiles. 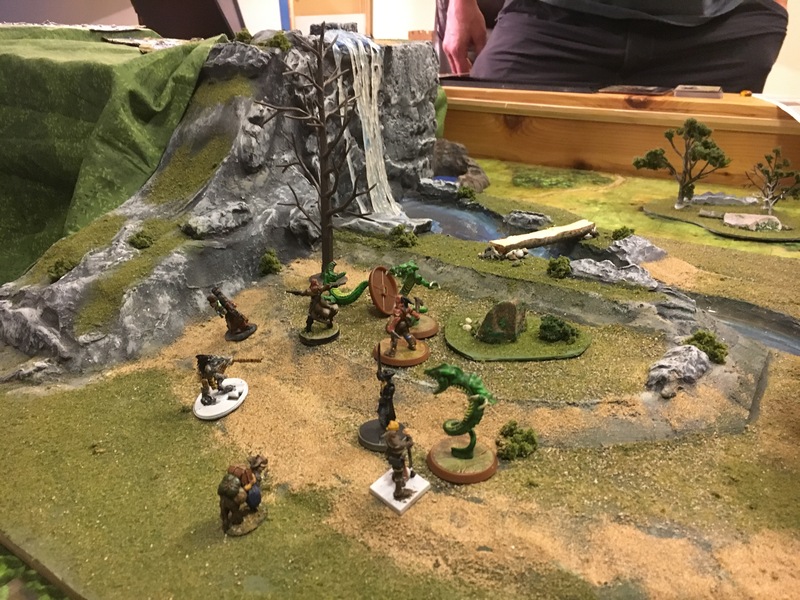 I played in a session of Fate of the Norns: Ragnarok yesterday that includes this amazing spread of Heroscape terrain and traditionally painted miniatures, as well as Egil the Icelandic Heroclix (Mage Knight, maybe?) figure. 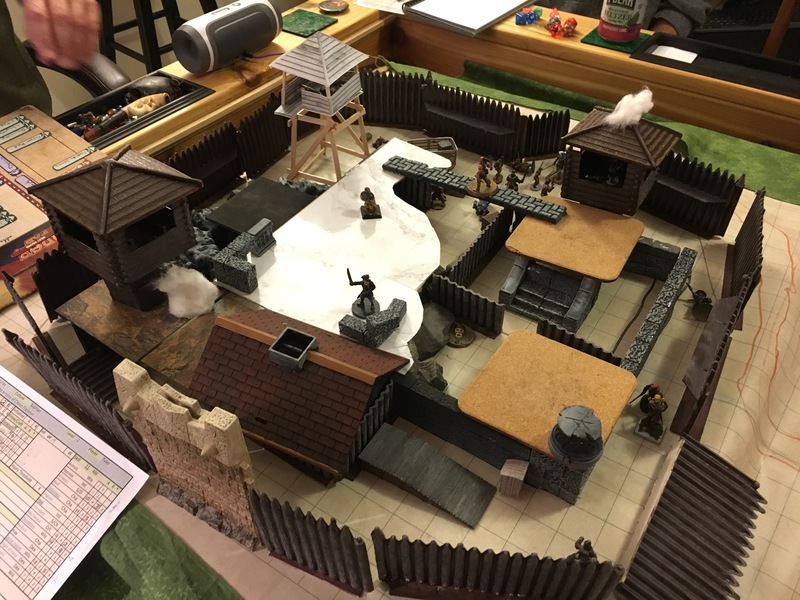 This was the second part of the scenario in the back of the core book. Everything points to the next stop in this pick-up campaign being Iceland itself. We glossed over how NPC-ified Turborg might rather return Ingrid to her father in Dublin immediately.